Accessories can really shine in the summer, when you're wearing less clothing and showing more skin. 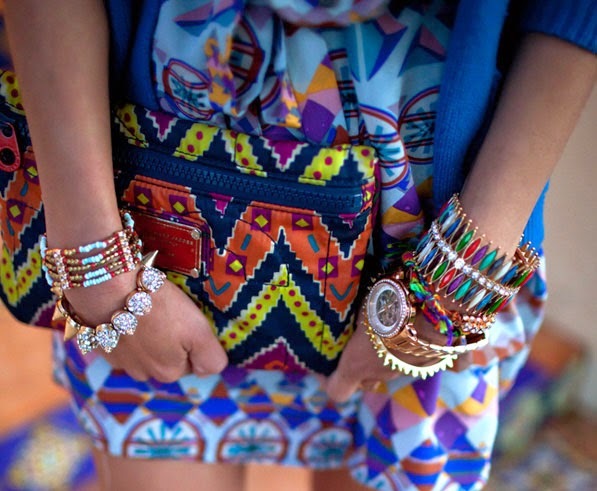 Summer accessories adorn your body and add personality to your outfit. 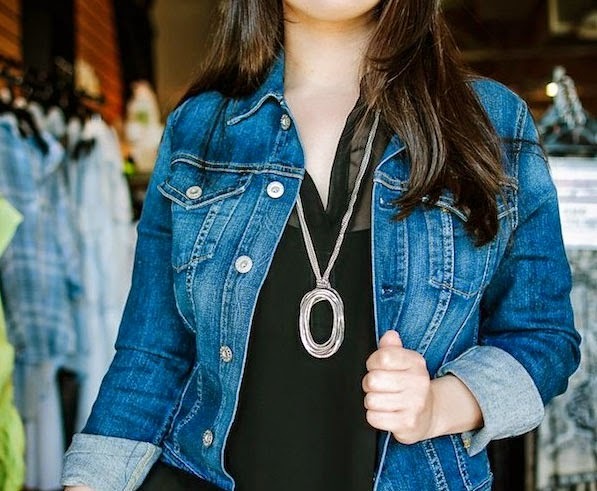 Another advantage to wearing trendy accessories this summer is affordability - the right accessories can give old outfits an entirely new look, which is usually much less expensive than buying a whole new outfit. So what's in style this summer? Accessories for summer 2014 are all about fun and shine, and a little retro as well. Here are some of the up-and-coming accessory trends this summer. 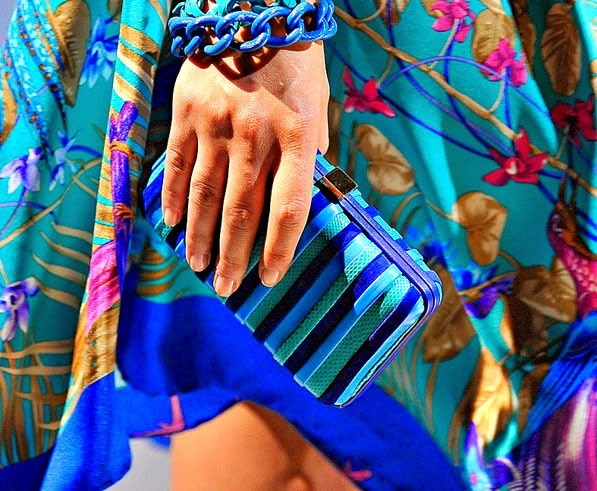 Remember clutch purses from years ago? Your grandmother might have a collection of them! If she does, break them out for 2014 - they're back in. And of course, you can find new clutches for purchase all over the place this year. And you're likely to see suede in pastel colors, like the "preppy" colors of the 80s. Lace is also making an appearance on clutches. Some clutches are decorated with beads, studs, sequins, feathers, and other embellishments, so you're sure to find one that will compliment your outfits. You might be too young to remember how girls piled bracelets on their arms in the 80s, usually of the jelly plastic variety. While the jelly look is not coming back, the piled-on bracelets look is. Continuing the tribal theme, 2014's bracelets are likely to trend toward materials like copper, silver, and ceramic beads and charms. Cuff bracelets are in, too. A timeless, natural look is also coming to the fore in the form of pearl jewelry. 2014 will see lots of pearl bracelets and other jewelry. Summer 2014 is likely to include some textures and fabrics, especially ribbon and cloth as necklaces. Strips of cloth, ribbon, and other texture-intensive materials are going to be seen around the necks of 2014's trendiest.